A prehistoric garbage dump, typically consisting discarded items of bone, stone, and pottery deposited during prehistoric times by aboriginal peoples. Archaeologists study middens left behind by ancient cultures to learn more about their habits and lifeways. 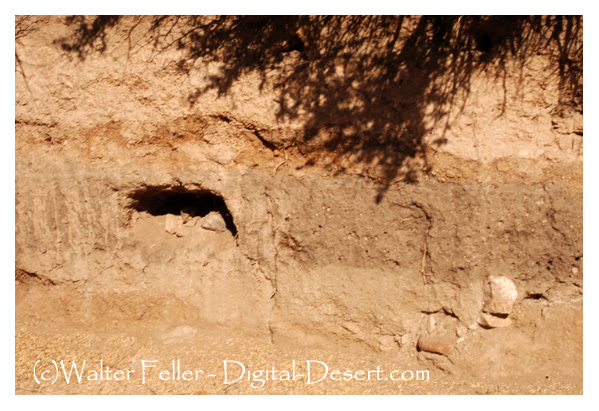 This particular midden (the darker layer) was discovered when Bill Keys graded a cut for the road to his Desert Queen Ranch in Joshua Tree National Park.